SDI Matrix Switcher Corporation WolfPackPro™ Any36 Seamless Modular SDI Matrix Switcher Chassis is an integrated SDI video and SDI audio modular SDI chassis. 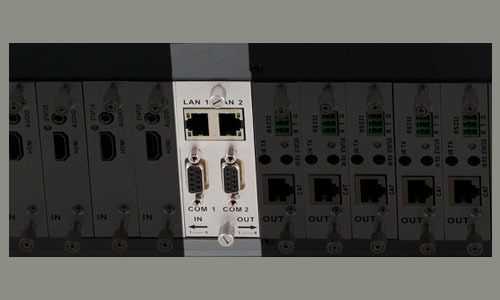 The chassis back plane allows various technologies, like SDI, to be converted and switched eliminating external converters. This 36-slot SDI Matrix Switcher allows any input to be routed to any output, or the same input to be routed to all outputs, or any combination using SDI input and SDI output cards or other cards of different or mixed technologies. 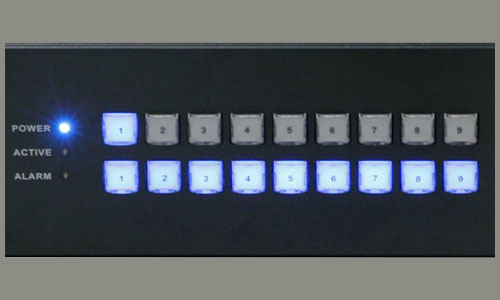 A built-in LCD screen lets view your selections directly on the front of the SDI matrix switcher. The core of the SDI Seamless Modular SDI Matrix Switcher Chassis consists of its highly configurable backplane that supports 36 seamless SDI input or any seamless SDI output cards in any Mix-N-Match quantity up to 36 total cards. It is 1080p/60 compliant. You can control the SDI Matrix Switcher via a few simple button taps from the front panel buttons, a remote control, a WEB GUI Browser control or the RS-232 serial port. It can also be configured with one signal to be displayed on 2 or more TVs as a Video Wall. 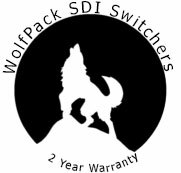 Why not configure a WolfPackPro™ Any36 Seamless Modular SDI Matrix Switcher based upon your needs today?